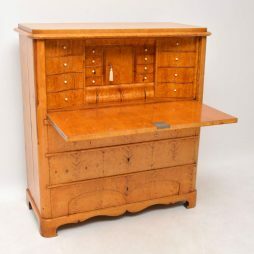 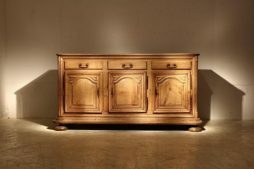 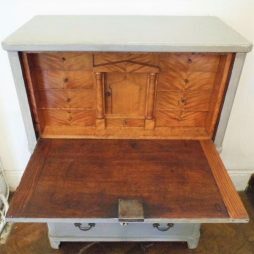 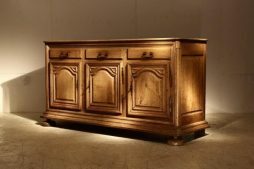 Antique Bureau | Interior Boutiques – Antiques for sale and mid century modern furniture, french furniture, antique lighting, retro furniture and danish furniture. 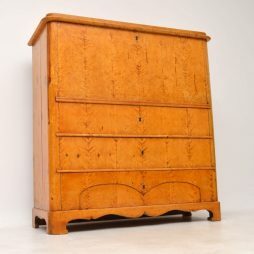 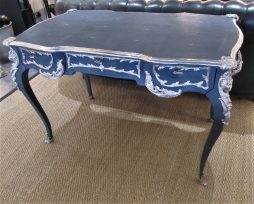 Very impressive antique French Bonheur Du Jour in excellent condition with many fine details. 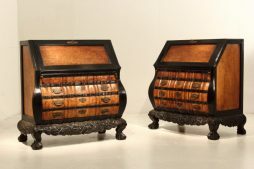 The floral marquetry is exquisite & the abundant gilt bronze mounts are very fine quality. 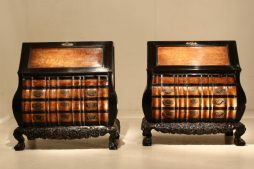 The top has gilt bronze galleries on the top & across the open end compartments. 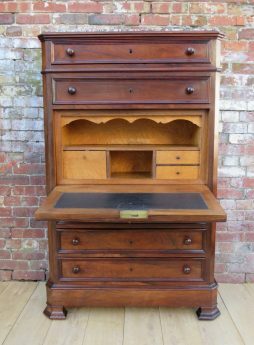 I’m not sure about the wood, but I think it’s predominately kingwood & mahogany. 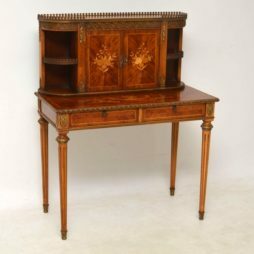 There’s also a lot of cross banding decoration & inlays, plus many other exotic woods used in the marquetry. 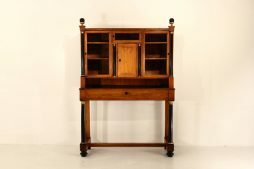 This table has a cupboard on the top, two drawers below with locks & sits on tapered turned fluted legs. 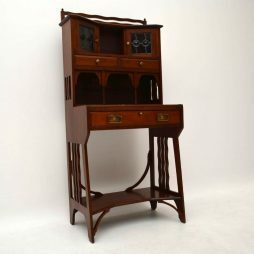 I would say this piece dates from around the 1920’s period. 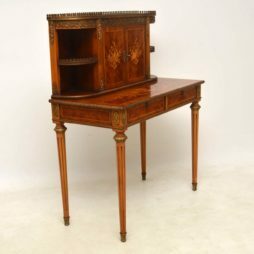 It has just been re-polished & the stunning marquetry, plus the grains within the wood are very vivid. 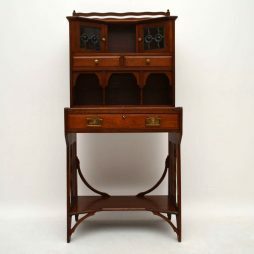 Please enlarge all the images to appreciate all the fine details. 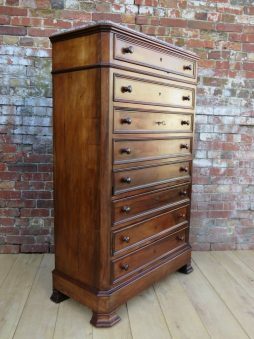 19th century French satin wood and maple marble top secretaire bureau chest of drawers with working lock and key. 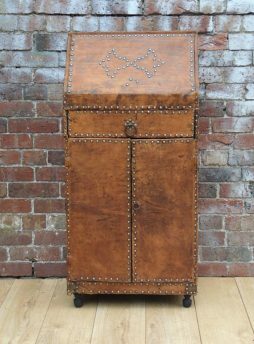 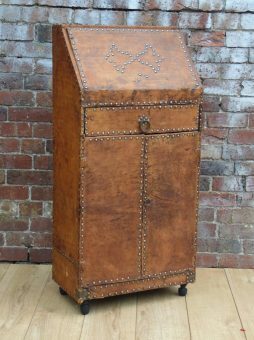 French art deco original leather studded bureau cabinet. 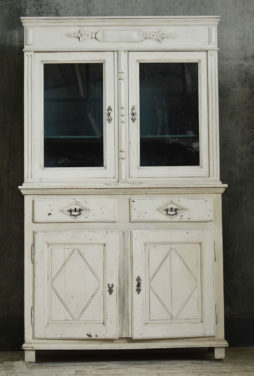 Condition Report : Wear and tear in keeping with age. 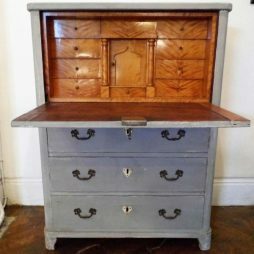 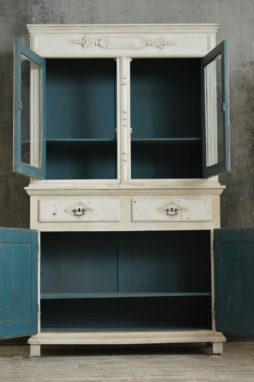 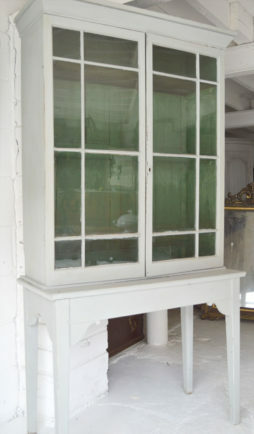 An early 19th Century Swedish Bureau with light grey painted finish and a stunning figured birch interior. 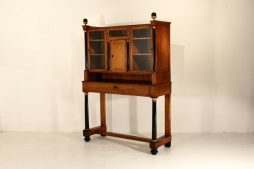 The fold down flap conceals seven small interior drawers and below there are a further three large drawers .